The move by food group Mars to introduce a worldwide labeling scheme that categorizes its products as “occasional” and “everyday” based on their sugar, salt and fat content, is both unusual and potentially risky. The American company is behind products including Uncle Ben’s rice and Dolmio pasta sauces, though the chocolate ranges it is also known for aren’t part of this new initiative. The plan to label around 5% of the Mars mealtime products as “occasional” may mean the public will perceive them to be unhealthy where they didn’t before. This could harm sales of certain Dolmio savoury sauces, for example, even though they are by no means the least healthy on the market. Though Mars says it will reformulate the “occasional” products to make them healthier, I cannot think of another example of a company voluntarily introducing a labeling system that has the potential to reduce sales like this. Existing product labels are either the result of government diktat, such as cigarette health warnings or the UK’s nutritional traffic-light packaging – or they are used to advertise a positive quality, such as welfare standards for meat or fish. This being the case, how big a risk is Mars really taking here? Do people pay attention to the labeling on packaging? And will they trust or respond to Mars’s new system more than any other food labels? The jury is still out, is the short answer. In the UK, the market-research group Mintel reported in 2013 that only 49% of consumers trusted manufacturers to provide safe food; while DJS Research in 2015 found that 47% of UK consumers wanted companies to put more information on food packaging. Another 44% said they would trust manufacturers more if they supplied more information. This may be at odds with a worldwide survey of consumers by the Nielsen agency in 2012, which found that 80% see assertions on labels as sometimes or never believable. An American survey of 1,500 people by the advertising agency Sullivan, Higdon and Sink pointed to some moderately better news for Mars. It found that Americans' trust in food manufacturers' transparency about how they made their products had climbed from 17% in 2012 to 34% in 2015 – albeit this still meant the majority of people didn’t trust them. A survey of more than 2,000 Americans in 2015 by the industry-funded Center for Food Integrity, meanwhile, reported an inverse relationship between the size of a commercial farm and the extent to which consumers think they have values in common. The bigger the farm, in other words, the more people perceive it to be putting profits ahead of consumer interests. It seems likely that the same would apply to food manufacturers. 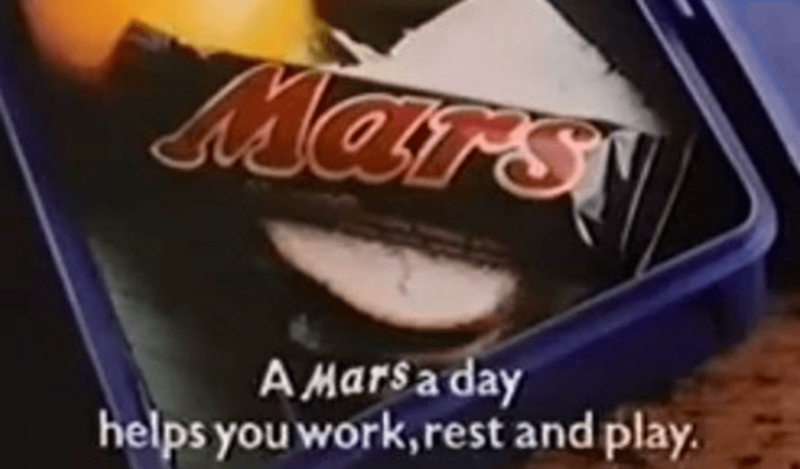 Another issue is whether Mars’s proposal to categorise products as “occasional” or “everyday” is precise or clear enough. The company suggests that “occasional” means you should only eat it once a week. But do people follow this kind of broad-brush messaging? The UK government’s “five-a-day” message about fruit and vegetables is not followed by two-thirds of the UK population. A message that can be tested over a longer period is cigarette packaging warnings, which date back to the 1970s, though these came at the same time as other anti-smoking initiatives. 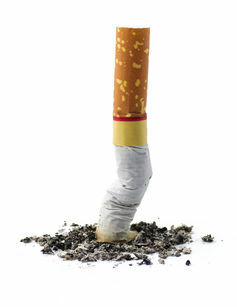 One survey of consumers in the UK, US, Canada and Australia by International Tobacco Control in 2005 found that people who noticed the warnings were more likely to believe they were true. Yet after decades of warnings, most smokers were still not fully informed about the risks of smoking. As far as Mars is concerned, there is also the question of how the “occasional” message is interpreted. It will be interesting to see whether it is taken to mean, “eat once a week or less”, which is the spirit of the message, or “I can eat this every week”. Past consumer surveys suggest Mars may not be trusted due to its size, albeit its attempt at transparency might act in its favor. It is possible that the messages will prompt consumers to eat more healthily, but don’t be surprised if most carry on regardless. No doubt Mars’s rivals will be watching with interest to see what happens. As for the Mars Bar, it has stayed mostly out of the limelight since the initiative was announced. Whether this can continue, time will tell. Where once the company told us that “a Mars a day helps you work, rest and play”, there now seems to be a strong argument for moving the flagship chocolate bar into the “occasional” category. By Rachel Norman, Chair of Food Security and Sustainability, University of Stirling. This article was originally published on The Conversation. Read the original article.